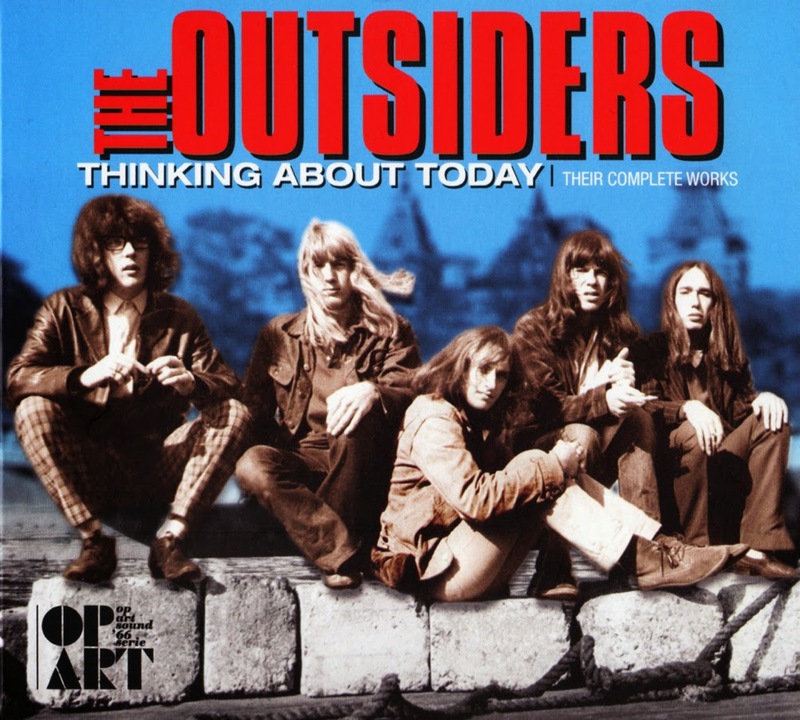 The Outsiders’ recording career lasted merely three years, but in that time they recorded and released close to fifty songs, every one of them an original composition; few other groups during that era could lay claim to such a track record. It’s a body of work that has only grown in stature. 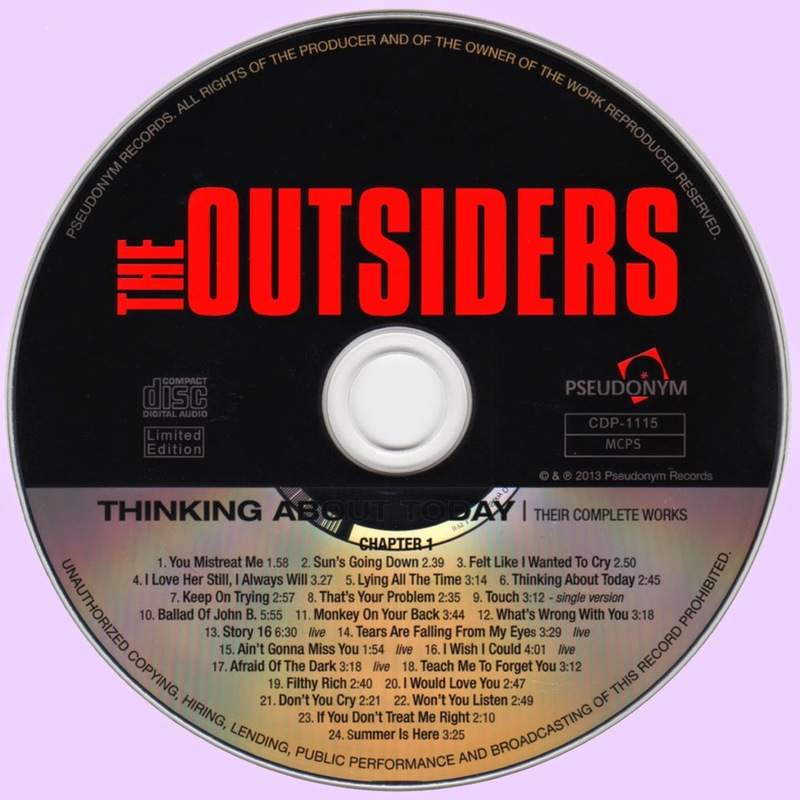 Created largely without the filter of commercialism, without the intervention of producers and publicists, the Outsiders’ music was pure and uncompromising. It was the authentic sound of five teenage kids from East Amsterdam striving for a sound of their own, thinking about today, without a passing care for yesterday or tomorrow. 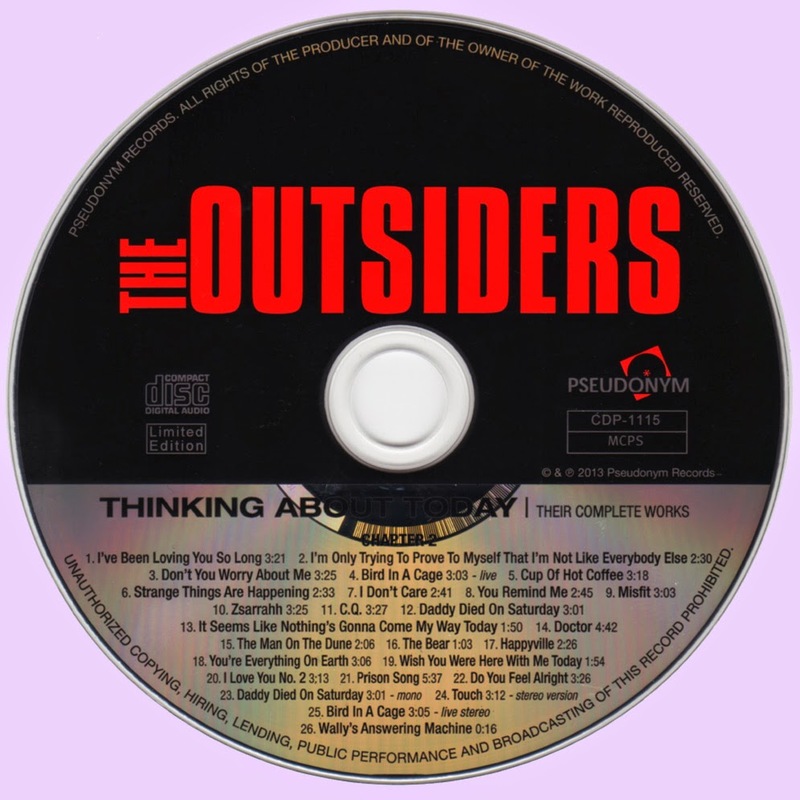 Thinking About Today includes every track released by the group during their original lifespan, from their raucous ’65 introduction, You Mistreat Me, to their violent but unfailingly catchy swansong, 1969’s Do You Feel Alright. Along with all their hit singles and B-sides, the set also features their self-titled album and the legendary CQ in its entirety, along with some rare mono and stereo mixes. Dynamically remastered from the original tapes, and packaged with previously unseen photos and full liner notes by Mike Stax, Thinking About Today is the definitive document on one of the era’s greatest unsung bands.